Did you that over 20% of children between the ages of 5 and 11 suffer from untreated cavities? Few things brighten your day like your little ones’ smile. In order to keep their smile bright and beautiful, your children require routine dental care. At Pecan Tree Dental, we offer the latest in children’s dentistry to help our youngest patients maintain healthy smiles. In today’s blog, your GrandPrairie dentist, Dr. Quinn Smith, answers a few common questions parents often ask regarding our children’s dentistry procedures. 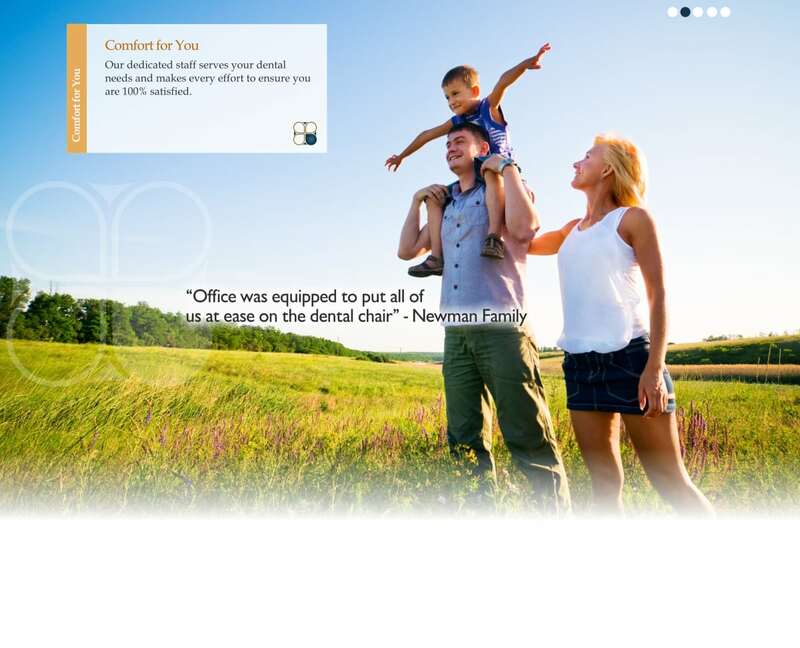 Question: Does Pecan Tree Dental offer a child-friendly atmosphere? Answer: Yes. Dr. Smith and our staff strive to provide an environment in which your child feels relaxed and comfortable. In addition, we keep a box filled with fun toys and trinkets as a reward for our young patients following their appointment. Question: When should my child see Dr. Smith? Answer: The first dental visit should follow the eruption of the first baby tooth. This visit mainly lets Dr. Smith evaluate the state of your little one’s dental health. Starting around age three, your child should see your Grand Prairie children’s dentist once every six months. Routine visits not only allow Dr. Smith to watch for signs of burgeoning dental disorders, but also helps children become accustomed to visits the dentist. 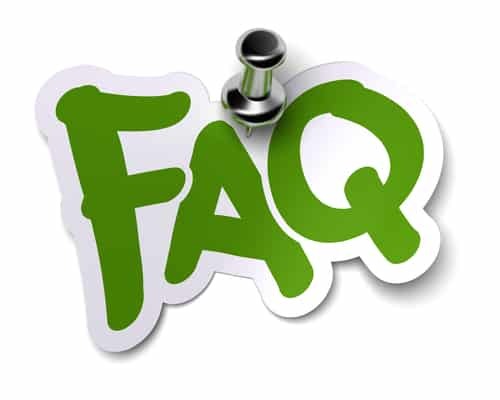 Question: What are fluoride treatments? Answer: Fluoride strengthens tooth enamel, aiding in the prevention of cavities. For children with teeth especially vulnerable to decay, Dr. Smith may recommend a fluoride treatment. Question: Can dental sealants help prevent tooth decay? Answer: Yes. Dental sealants are thin layers of plastic material applied to the molars in the back of your child’s mouth. These teeth are often difficult for them to reach when brushing. Sealants keep food from adhering to the tooth’s surface or becoming stuck between teeth. Dental sealants help your child avoid tooth decay and the painful complications associated with it, such as toothaches. Did we answer all of your questions? If you have any further questions or concerns about our children’s dental procedures or would like to schedule a checkup, talk to your Grand Prairie children’s dentist today. To schedule an appointment, contact our 75052 dental office today by calling 972-262-5111. We welcome patients from Grand Prairie, Arlington, South Dallas, Cedar Hill, Duncanville, and surrounding communities. Do you spend time with your family enjoying your privately owned, backyard pool. If so, you may find the following information useful. Recent research has shown that improperly maintained pool water featuring an improper pH balance and chlorine level can actually contribute to enamel loss. Read below as your Grand Prairie dentist, Dr. Quinn Smith, delves deeper into this research and tells you what you can do to prevent your pool from damaging your teeth. Recent research from NYU has drawn a correlation between improperly maintained pool water and enamel loss. This research stemmed from a single case in which a man suffered severe enamel loss and staining during a five-month period. The beginning of these symptoms coincided with a new exercise regimen he was beginning at the time. It involved 90 minutes of swimming in his privately owned pool. After trying and failing to find any other factors that could have contributed to such severe enamel loss and staining, the researchers found that the water in the man’s pool had an improper pH balance. They determined, therefore, that prolonged exposure to the improperly maintained water was the primary cause of his symptoms. Enamel plays a very important role in the health of your teeth. It defends them against bacteria, helping to fight against decay. With less enamel, teeth are more vulnerable to decay and cavities are more likely. Therefore, with the results of the NYU study in mind, proper maintenance of your pool is very important and may be able to prevent similar enamel loss from occurring to you and your family. 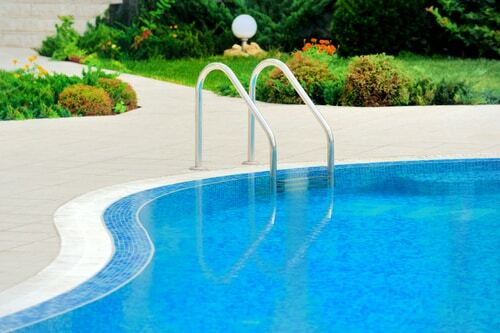 If you are unsure of how to maintain your pool, contact a professional in your area. To help keep your mouth in prime health, you should attend a dental visit every six months. During these visits, a hygienist can remove bacteria-ridden plaque and tartar from teeth and improve your oral health. To schedule an appointment, contact our 75052 dental office today by calling 972-262-5111. We welcome patients from Grand Prairie, Arlington, South Dallas, Cedar Hill, Duncanville, and surrounding communities. A large portion of general dentistry focuses on keeping teeth healthy and preventing tooth decay and gum disease. However, without proper homecare to protect teeth between dental visits, teeth will not remain healthy. Therefore, your Grand Prairie dentist, Dr. Quinn Smith, has created this quiz so that you can put your knowledge of homecare to the test. 1. True or False: You should brush your teeth as often as you are able. 2. True or False: It is best to focus your attention on the top (biting) surface of teeth because that is where they come into contact with food. 3. True or False: Brushing too forcefully can damage your teeth. 1. False. You should brush teeth two or three times per day. If you brush more often than that, you may begin to expose your teeth to excessive abrasion, causing their enamel to wear away. With less enamel, teeth are more vulnerable to attack from bacteria, making tooth decay more likely. 2. False. When brushing, you should make a concerted effort to clean all available surfaces of every tooth. Thus, be sure that you clean, the front, back, and top surfaces, and also take care to clean teeth near the gum line by angling your bristles toward it. By removing bacteria in this area, you can help prevent gum disease. 3. True. Brushing teeth with too much force can strip them of their enamel. It can also damage the gums, irritating them and making them bleed. Therefore, when you brush, it is better to be thorough than to be forceful. Brush gently with some firmness, but don’t inflict damage on your mouth. Are you in need of a dental cleaning? Your Grand Prairie dentist, Dr. Smith, provides general dentistry services in addition to cosmetic and restorative services. If you would like to schedule an appointment, contact our 75052 dental office today by calling 972-262-5111. We welcome patients from Grand Prairie, Arlington, South Dallas, Cedar Hill, Duncanville, and surrounding communities. Dental crowns are dental devices, made out of varying materials, that repair and reinforce teeth so that they become functional once again. Dental crowns can also improve the cosmetic appearance of damaged teeth. But when does a dental crown become necessary? Your Grand Prairie dentist, Dr. Quinn Smith, discusses several situations that necessitate dental crowns below. 1. Significant tooth decay. Tooth decay can weaken a tooth, making structural damage in the form of a chip, crack, or break more likely. When a cavity makes a tooth susceptible to damage, the placement of a dental crown can help strengthen the tooth to prevent serious problems. 2. A broken tooth. A broken tooth is in peril of developing an infection because bacteria have a far easier time accessing the innermost portion of the tooth called the pulp. A patient with a broken tooth will also experience serious discomfort, robbing the tooth of its function. By fitting the tooth with a dental crown, however, the tooth can be restored both cosmetically and functionally. With the crown in place, bacteria will be barred entrance to the tooth’s pulp, and the tooth will be able to bite and chew once again. 3. Wear by bruxism. Bruxism (teeth grinding) often occurs during sleep so that people are unaware of the damage they are inflicting on their teeth. Over time, teeth may weaken and can eventually crack, chip, or break. 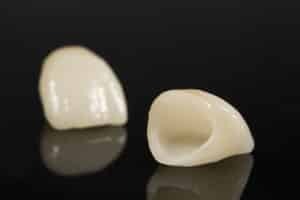 In order to repair this damage, dental crowns must be fitted over top of the teeth so that they can be functional once again. However, once bruxism is discovered, a night guard may be worn to protect teeth from damage during the night. If you have a damaged tooth that needs to be repaired, contact your Grand Prairie dentist, Dr. Smith, today at 972-262-5111 to schedule an appointment or a consultation. Located in the 75052 area, we welcome patients from Grand Prairie, Arlington, South Dallas, Cedar Hill, Duncanville, and surrounding communities. 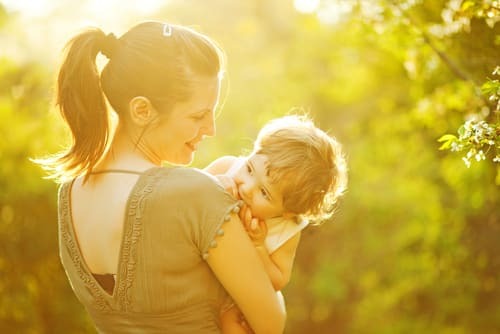 As a parent, you are faced with many responsibilities to ensure your child’s continuing health, safety, and happiness. Among those responsibilities are helping your child navigate oral health problems. To help you in your endeavor to keep your child’s mouth healthy, your Arlington dentist, Dr. Quinn Smith, has created this quiz so that you can prepare yourself for many of the dental situations your child may face. 1. True or False: Cavities do not require fillings if they are in baby teeth. 2. 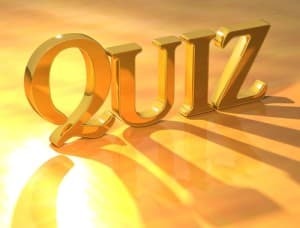 True or False: A knocked-out tooth should be handled by the crown rather than the root. 3. True or False: Teeth grinding does not often require treatment in children. 1. False. All cavities require dental care. Although it may seem that a cavity in a baby tooth can go untreated because a secondary tooth is waiting to take its place, it’s not true. An untreated cavity can result in an infection capable of spreading into the rest of the mouth and the jawbone, resulting in serious oral health problems. Additionally, the infection can spread into the rest of the body and cause illness. 2. True. The root of a knocked-out tooth needs to remain moist if the tooth is to be saved. Once a tooth has been knocked out, there is a window of about 30 minutes to an hour to save the tooth. 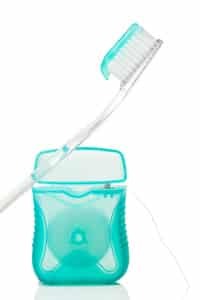 The best chance of keeping the root moist is to rinse it clean with water and replace it in its socket before seeking emergencydental care. 3. True. The forces generated by bruxism (teeth grinding) in children are not a sufficient threat to teeth to warrant treatment. The habit is very common in children, usually beginning at age three and ending around age six. However, if the habit lingers well past the age of six, or if your child complains of persistently sensitive teeth and a sore jaw, notify your Arlington family dentist, Dr. Smith. Regular dental visits can help keep your child’s mouth healthy. If more than six months have passed since your child’s last dental visit, contactyour Arlington family dentist, Dr. Smith, today by calling 972-262-5111. We welcome patients from Grand Prairie, Arlington, South Dallas, Cedar Hill, Duncanville, and surrounding communities. Arlington Dentist: Does Vitamin D Fight Cavities? Nutrition is a major part of our health. If we put the right vitamins and nutrients into our bodies, we typically see an improvement in our health. But does the same hold true for the mouth? 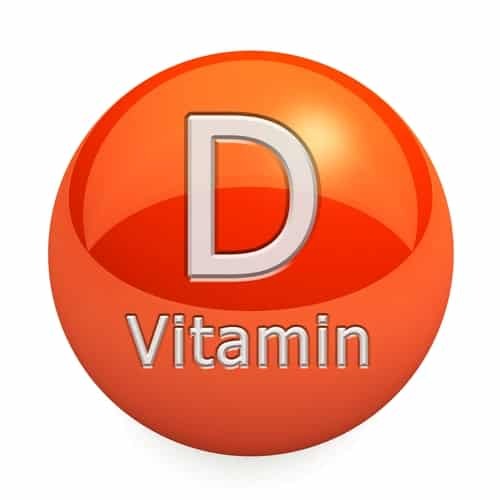 Researchers continue to debate whether or not vitamin D plays a role in preventing cavities, and below, your Arlington dentist, Dr. Quinn Smith, sifts through the debate. The major sticking point in the debate over the cavity-fighting powers of vitamin D is the research itself. 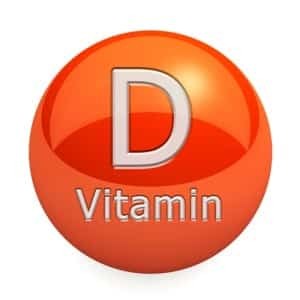 In a series of trials that span more than sixty years, researchers found that people with greater levels of vitamin D showed 50 percent less tooth decay than people with lower levels of vitamin D. However, while this result is quite promising and compelling, it is often disputed owing to the dated nature of the information, much of which was gathered about 50 years ago. Thus, the debate lives on and will likely continue until more current research becomes available. However, it is important to keep in mind that vitamin D is a useful vitamin for your overall health. Thus, ensuring that you receive an adequate amount of the vitamin, if it does not help your mouth fight cavities, may yield other health benefits. Therefore, why not try adding some vitamin D to your diet? The research is just compelling enough to make it feel worthwhile. If you choose to add vitamin D to your diet, salmon and tuna are an excellent source of the vitamin. Additionally, sunlight encourages the synthesis of vitamin D, so spending some time outside may be beneficial. Just make sure if you are out in the sun that you wear sunscreen for protection. Whether or not vitamin D can help fight cavities, it is no substitute for thorough homecare and regular dental visits. If more than six months have passed since your last dental cleaning, contact your Arlington dentist, Dr. Smith, today by calling 972-262-5111. We welcome patients from Grand Prairie, Arlington, South Dallas, Cedar Hill, Duncanville, and surrounding communities. While it is true that a dental emergency may occur at any time, there are a few situations when it would pay to be extra careful. Read below as your Grand Prairie dentist, Dr. Quinn Smith, discusses three situations that may yield a dental emergency and what you can do to prevent them. 1. Playing a contact sport. When playing a contact sport like football, hockey, or rugby, it is important to wear protective padding. The same goes for your mouth, making a mouthguard a vital piece of the protective puzzle. Mouthguards can provide padding for teeth in the event of a collision, preventing them from snapping together and causing damage such as a cracked, broken, chipped tooth. In addition, mouthguards also protect the cheeks, lips, and tongue from being bitten as a result of heavy impact. 2. On the playground. If you have a child, you know that children can get into all sorts of trouble right under your nose, and while such is a part of growing up, you’ll no doubt want to protect your little one as best as you can. 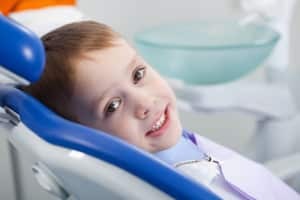 Thus, it is a good idea to pay extra attention to a child on a playground as something as innocent as tripping could result in a dental emergency. Program your Grand Prairie dentist, Dr. Smith, into your phone as a precaution. 3. During sleep. Believe it or not, people can suffer a broken tooth in their sleep. The culprit for the damage is bruxism (teeth grinding), which is a rather common nighttime habit. However, damage from bruxism is preventable. By wearing an oral appliance called a sleep guard during the night, people with teeth grinding habits can protect their teeth from the extreme forces of bruxism and prevent a dental emergency. In the event of a dental emergency, prompt care is vital. If you or a loved one suffers damage to the mouth or teeth, contact your Grand Prairie emergency dentist, Dr. Smith, by calling 972-262-5111. We welcome patients from Grand Prairie, Arlington, South Dallas, Cedar Hill, Duncanville, and surrounding communities. Many people worry first and foremost about their teeth when it comes to their oral health. They seek to prevent cavities and focus mostly on brushing in their homecare. However, homecare should also address the gums, which are vital to your oral health. If uncared for, gums can potentially develop gum disease, which can devastate the mouth and increase health risks. Below, your Grand Prairie dentist, Dr. Quinn Smith, discusses the development and dangers of gum disease and what you can do to prevent it. Gum disease often begins with the presence of bacteria on teeth near the gum line. If left unimpeded, these bacteria can inflame the gums, causing gingivitis, and while inflammation may not sound too devastating, gingivitis can be a difficult disease to shake. You see, the bacteria responsible for gingivitis trigger the body’s production of an anti-inflammatory molecule called IL-10. Unfortunately, this molecule interferes with the body’s T-cells, which are responsible for fighting bacteria. Thus, it is quite common for gum disease bacteria to linger, and when they linger, gingivitis may progress into a periodontitis, a form of gum disease capable of doing more damage. Periodontitis attacks the ligaments and tissues that support teeth. As these ligaments and tissues become damaged, teeth may loosen, shift, and eventually fall out. At the same time, pockets often develop between the teeth and the gums. These pockets are often filled with bacteria and require cleaning to improve the health of the gums and to protect the teeth. Several health risks have been associated with gum disease. They include an increased risk of heart disease, stroke, diabetes, and some types of cancer. Diligent homecare can help keep gum disease at bay. Be sure that you brush twice a day, angling the bristles of your toothbrush toward the gum line to remove any lingering bacteria. Also be sure to floss once a day. When flossing, use clean sections of the floss as your work your way through your mouth. Otherwise, you may simply move bacteria around your mouth instead of removing it. Lastly, be sure to attend regular dental visits with your Grand Prairie dentist, Dr. Smith. Professional cleanings can remove stubborn plaque and tartar, which contain bacteria that can potentially cause gum disease. When was the last time you attended a dental visit? If it was more than six months ago, you are due for a checkup. Contact our 75052 dental office to schedule an appointment or a consultation with your Grand Prairie dentist, Dr. Smith, today by calling 972-262-5111. We welcome patients from Grand Prairie, Arlington, South Dallas, Cedar Hill, Duncanville, and surrounding communities. Wisdom teeth extractions typically become necessary in the late teenage years or during early adulthood. However, many people are unclear as to why it is necessary to extract wisdom teeth at all. Below, your GrandPrairie dentist, Dr. Quinn Smith, explains the reasoning behind wisdom teeth extraction as he answers your most frequently asked questions about the procedure. Wisdom teeth emerge far later in life than the rest of your teeth. When they do emerge, they may cause problems with the alignment of your other teeth. For example, the wisdom teeth may be turned at an angle that would cause crowding in nearby teeth. Therefore, in order to prevent orthodontic problems, it is best to remove the wisdom teeth. Wisdom teeth may also become impacted, meaning that they only partially break through the gums. If wisdom teeth become impacted, extraction is crucial. With the teeth only partially exposed, they cannot be thoroughly cleaned. Bacteria are also able to enter the opening in the gums, where they can cause infection, decay, and gum disease. Are wisdom teeth extractions performed under anesthesia? Your Grand Prairiedentist, Dr. Smith, employs one of two sedation methods for wisdom teeth extraction procedures. The two methods are nitrous oxide and oral sedation. For sedation with nitrous oxide, patients must inhale the gas during the extraction. Once sedation has been established, Dr. Smith can remove the teeth. Oral sedation, on the other hand, requires patients to take medication. One pill must be swallowed the night before the procedure, and a second pill must be taken one hour before the procedure. The medication places patients into a relaxed state, allowing Dr. Smith to extract the wisdom teeth. Do your wisdom teethneed to be removed? Contact our 75052 dental office to schedule an appointment or a consultation with your Grand Prairie dentist, Dr. Smith, today by calling 972-262-5111. We welcome patients from Grand Prairie, Arlington, South Dallas, Cedar Hill, Duncanville, and surrounding communities. A toothache can start off as a minor annoyance. However, if it lingers, pain and frustration can feel like constant companions. Some toothaches can indicate serious problems in the mouth, while others may be fleeting sensitivities. How, then, can you tell the difference between them. Below, your Grand Prairie dentist, Dr. Quinn Smith, examines four causes of toothaches and explains when a toothache may indicate a serious problem. 1. Bruxism. Bruxism, or teeth grinding, places significant strain on teeth. Prolonged exposure to this type of strain can wear teeth down, and eventually they may crack, chip, or break. However, before structural damage occurs, teeth may become sensitive and ache. If you notice pain in your teeth following sleep as well as a sore jaw, you may be grinding your teeth and require dental care. 2. A cracked tooth. A cracked tooth typically causes a sharp pain during biting or chewing. It also usually exhibits greater sensitivity to hot and cold temperatures. A cracked tooth is a weakened tooth, meaning that bacteria are able to attack it more easily. Thus, if you think your toothacheis the result of a cracked tooth, contact your Grand Prairie dentist, Dr. Smith, for assistance. 3. Tooth decay. Tooth decay is not always painful, but sometimes it can be. If your toothache lingers for several days, tooth decay may be the culprit. Any kind of tooth decay requires treatment or else it is capable of worsening. 4. An irritant. Quite often a toothache is the result of an irritant caught between teeth. Thus, a good first step to follow upon developing a toothache is to rinse your mouth with warm water and floss in the area of the toothache. If you experience relief, the cause was likely an irritant. If the pain lingers, the cause may be something more serious. If you have a toothachethat lingers for days on end, don’t ignore your body’s warning. Contact our 75052 dental office to schedule an appointment or a consultation with your Grand Prairie dentist, Dr. Smith, today by calling 972-262-5111. We welcome patients from Grand Prairie, Arlington, South Dallas, Cedar Hill, Duncanville, and surrounding communities.